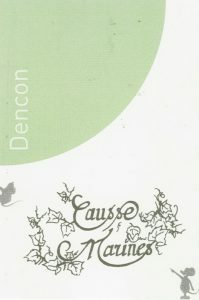 Domaine de Causse Marines is the domaine of Virginie Maignien and Patrice Lescarret who live in the tiny village of Vieille just outside Gaillac where they make beautiful wines using grapes that are indigenous to the region. If you look at wine lists from any of the top wine bars from The Ten Bells in New York to Coinstot Vino the trendy cave-à-manger in the lovely Passage des Panoramas in Paris you will find the wines of Virginie and Patrice. The instantly recognisable and humorous wine labels with their irreverent, but obscure, jibes at French bureaucracy may give the impression that they are a jovial lot at Causse Marines – and they are! However, they are also very serious wine makers who are committed to restoring the Gaillac region to its former glory. Their vineyards fall within the appellation of Gaillac which lies a short drive north of the south-west city of Toulouse. The vineyards are tended biodynamically with no pesticides or fungicides or artificial fertilizers used. They make their wines naturally and have a wide range of unusual grape varieties to call on including Ondenc, Loin-de-l‘Oeil, Braucol, Duras and Mauzac. They are part of a group of local vignerons who are trying to restore the ancient grape varieties that made the Gaillac wines famous throughout Europe in the sixteenth and seventeenth centuries. This Vin de Table Mysterre is indeed a mystery. It is yellow-gold in the bottle. It starts out like an Armagnac and then morphs into an amontillado sherry then gives off some Madeira notes, then some very old Savagnin hints. There is nothing else like it! We have often opened a bottle of this wine at a gathering of wine geeks and they are always intrigued and delighted with the wine, but rarely do they know the origin or the style of wine they are tasting! The Mysterre is made from Mauzac which is one of the ancient grape varieties of south west France and the wine has never been topped up in the barrel. A veil formed on the wine and it was therefore aged ‘under the veil’, just like a sherry or Vin Jaune from the Jura. The Mysterre has aged for a long time and is also a solera of four different vintages (1997, 98, 99 and 2000) along with a little of younger vintages to add freshness! The vintage refers to the fact that it was assembled in 2011 not that the grapes come from the 2011 vintage. Les Greilles is a classy white wine blended from local Gaillac grapes Mauzac and Loin-de-l‘Oeil with a little Muscadelle, Chenin Blanc and Semillon thrown in. We perhaps do not give this wine full praise. To us it an amazing wine of great complexity and with nuances that make it a perfect wine to match with a very wide range of foods. It is a perfect aperitif wine as well as being an ideal accompaniment for a range of foods such as charcuterie, including cured meats and many spicy foods such as those from Thailand, Vietnam, Malaysia, India and Sri Lanka. The grapes come from a number of low-yielding parcels in their stunning vineyards with the maximum yield being a low 35 hectolitres per hectare. The low yield leads to increased fruit intensity that shines through in this wine. Patrice and Virginie are dedicated winemakers who make incredibly delicious wine using traditional grape varieties from this delightful terroir. We are delighted with the return of this old favourite. Peyrouzelles is a red wine blended mainly from Braucol, Duras and Syrah the first two of which are native to the area around Gaillac. Patrice Lescarret also says that this wine has a ‘bit of everything’ (un peu de tout) including the rare Alicante (a grape with very dark red flesh), the very rare Prunelart (also a dark-coloured grape) and Jurancon! These are all traditional grape varieties of the Gaillac region that Patrice and Virginie are reviving. Peyrouzelles has been a perennial favourite in Australia. The wine is dark and brooding, reminding Australians of their native bigger wines. The Peyrouzelles is big, dark and brooding but also light and elegant on the palate. It is a wine that marries well with lots of dishes without overpowering them. It is an easy-drinking style that is perfect now but which will keep for another year or two as the tannins soften. You will be surprised by the depth of flavour of this well-priced wine even though it is only 12% alcohol this vintage. 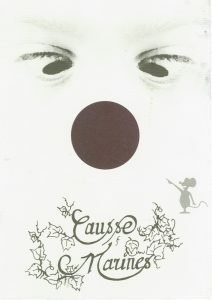 The Sept Souris is a Vin de France wine and is made from 100% Syrah. Despite being a Vin de France it is a wine of considerable elegance and is the flagship wine of this exciting domaine. This wine is drinking very nicely right now with exceptionally fine tannins and a long, satisfying finish. It is not permitted in France to put the vintage on the label of Vin de France wines but if you look at the name of the wine it doesn’t take too long to work it out! 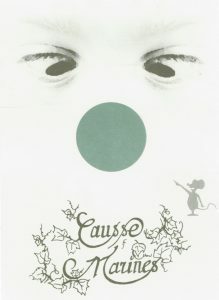 The Causse Toujours is a special cuvee that was created in 2011 because the yield from the Syrah plot at the top of the hill was so low that it was not possible to make the Sept Souris which is always made from 100% Syrah. This wine is made from the Syrah which provides silkiness, spice and body and some Prunelart (a local ancient grape that is being revived in the area by Patrice and some of his fellow vignerons in the area) from young vines to provide a more rustic element to the wine. The wine is a deep purple colour with lots of spice and pleasant tannins at the front of the mouth. The Prunelart adds a touch of mystery and fruitiness that you would expect from the parent (father) of Malbec. This represents excellent value for money considering the quality of the Syrah that provides the backbone of this wine. The Dencon 4102 is made from a very, very rare grape variety called Ondenc which had almost disappeared from France until it was revived by a small number of growers in Gaillac. The wine is labelled as a Vin de France because it is not permitted to produce single-grape variety wines in the Gaillac appellation. As with the vintage, it is not permitted to put the grape variety on wines from many French appellations. However those of you who enjoy anagrams and similar word games should not take too long to work it out. The humour of the winemakers also shows through on the little tweaks given to some of the symbols that must appear on the label in France. 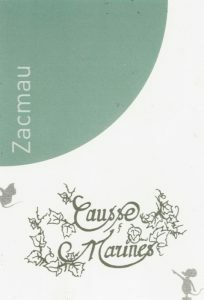 The Zacmau is a white Vin de France wine made from 100% Mauzac, the favoured local white grape of the Gaillac appellation which has been grown here for many hundreds of years. The vineyard where the Mauzac is grown is in front of their winery and the vines love the clay and limestone soils that they grow in. This is a classy, elegant wine that shows what Mauzac is capable of, especially when yields are as low as 20 hectolitres per hectare. Up to 50% of the juice is aged in old wooden barrels and the rest in stainless steel or fibreglass tanks. It is a complex wine with considerable finesse with lots of the characteristic Mauzac flavour and a very long and very satisfying finish. It is a very good food wine and works extremely well with charcuterie such as salami, saucisson, pate and terrines as well as with dishes such as braised sausages, roast chicken, hard cheese, roast fish and many more. It is a very versatile wine and a particular favourite. 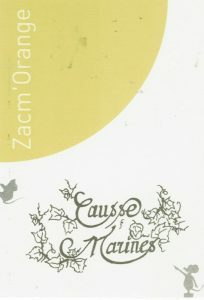 The Zacm‘Orange is an orange (skin contact) wine made from 100% Mauzac that has had some 21 days of skin contact prior to being transferred to 400 litre barrels to mature for 7 months. The vineyard where the Mauzac is grown is in front of their winery and the vines love the clay and limestone soils that they grow in. It is a complex wine with a bright orange colour from the skin contact, a hint of spritz (natural winemakers often encourage a light spritz because carbon dioxide is a very good preservative and anti-bacterial agent) and some very nice tannins making it a perfect food wine. No sulphites have been added at any stage and the wine has not been fined or filtered thus making it suitable for vegetarians and vegans. This is a perfect example of the orange wine genre. This amazing wine has some residual sugar to make it a very appealing aperitif or nightcap! The grape varieties used to make this wine are Syrah, Duras, Braucol (Fer Servadou) and Jurançon Noir plus some Mauzac. Apart from the Syrah all of these grapes are native to the area surrounding Gaillac. This wine has undergone a single ferment in the bottle with only natural yeasts (the method is called méthode ancestrale or Pétillant Naturel which has been carried out in Gaillac for many hundreds of years and certainly pre-dates the production of Champagne). It has not been disgorged hence there is a little sediment in the bottle, but this adds to the complexity of the flavour. No sulphur has been added at any time during the winemaking process which adds to the liveliness of this wine on the palate. This is a real treat and is perfect for a summer afternoon, for breakfast or to act as a full stop after a long night! This sparkling wine is naturally fermented in the bottle so it is known as a Pétillant Naturel wine. It is made entirely from very low-yielding Mauzac vines. The bead is very, very fine and it has a yeasty, bready nose and quite an intense apple flavour. It is a perfect aperitif wine but is also a good match for food as well. For a sparkling wine of some elegance this is great value for money.